Camilla Tominey hears stories of what it is like growing up with an alcoholic parent. Life for the child of an alcoholic can be lonely, locked inside a house of secrets. A code of silence means they don't want to talk to friends, or neighbours, or even their brothers and sisters. 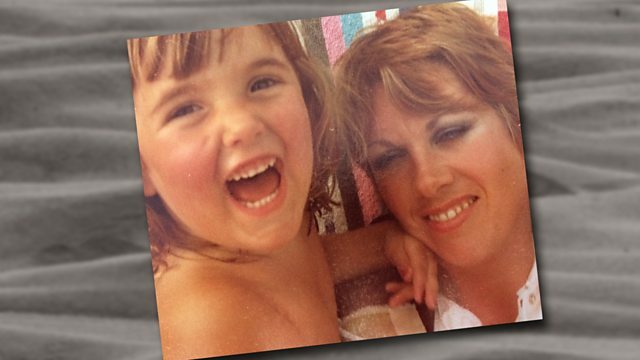 Journalist Camilla Tominey, whose mother was an alcoholic, hears their stories. Since having her own children, Camilla has longed to travel back in time and ask her, mother to mother: "What made you start drinking before noon?" Here, she and her two brothers sit down for the first time in twenty years to talk about their memories. Alcoholism is by no means a one-size fits all experience. It cuts across class lines and manifests itself in many different forms. We hear stories from people across Britain. How have they been changed by their experience and what has helped get them through? The Monster Downstairs features intimate, wrenching stories - of young people and adults - as they talk about an unpredictable existence.